Stock in Legal & General Group Plc ticker lookup code: LON:LGEN has gained 1.44% or 3.8 points during today’s session so far. Market buyers seem confident during this period. The period high has peaked at 267.8 dropping as low as 262.67. The number of shares traded by this point in time totalled 7,177,768 whilst the daily average number of shares exchanged is just 21,753,379. The 52 week high is 289.45 which comes in at 25.85 points different to the previous business close and a 52 week low sitting at 248.8 a difference of some 14.8 points. Legal & General Group Plc has a 20 day moving average of 267.56 and now its 50 day moving average of 274.02. This puts the market cap at £16,112.03m at the time of this report. The share price is in Great British pence. Mcap is measured in GBP. 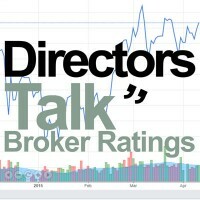 This article was written with the last trade for Legal & General Group Plc being recorded at Thursday, July 12, 2018 at 1:34:31 PM GMT with the stock price trading at 267.4 GBX. 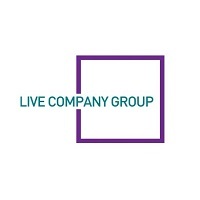 The trading price for Live Company Group PLC with ticker code: LON:LVCG has gained 10.35% or 5.22 points during today’s session so far. Investors are a positive bunch throughout the trading session. The period high was 56.5 dropping as low as 51.97. The total volume of shares traded by this point was 134,240 with the average number of shares traded daily being 163,461. A 52 week share price high is 97 which is 46.5 points difference from the previous days close and putting the 52 week low at 18 which is a variance of 32.5 points. 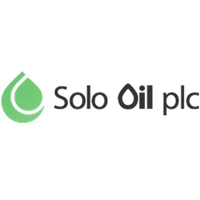 Live Company Group PLC now has a 20 simple moving average of 48.29 with a 50 day SMA of 43.76. The current market capitalisation is £34.688m at the time of this report. The share price is in GBX. Mcap is measured in GBP. This article was written with the last trade for Live Company Group PLC being recorded at Thursday, July 12, 2018 at 1:27:04 PM GMT with the stock price trading at 55.73 GBX. The share price for Mediclinic International PLC company symbol: LON:MDC has risen 2.28% or 12 points during today’s session so far. Buyers have stayed positive during the trading session. The periods high has reached 540.8 and a low of 526.8. The number of shares traded by this point in time totalled 313,027 with the daily average traded share volume around 2,510,164. The 52 week high for the shares is 771.5 about 245.3 points difference from the previous days close and the 52 week low at 495.4 a difference of some 30.80 points. Mediclinic International PLC now has a 20 SMA of 545.45 with a 50 day moving average of 607.11. The current market capitalisation is £4,007.06m at the time of this report. All share prices mentioned for this stock are traded in GBX. Mcap is measured in GBP. This article was written with the last trade for Mediclinic International PLC being recorded at Thursday, July 12, 2018 at 1:34:30 PM GMT with the stock price trading at 538.2 GBX. Click LGEN LVCG MDC for the full archive.